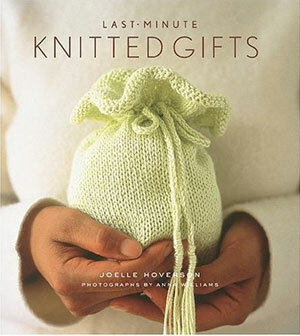 Known for her keen sense of color, Hoverson includes instructions for classic gifts like baby booties and bonnets, sweaters, and scarves, plus imaginative options like a cashmere tea cozy, a felted yoga mat bag, floor cushions, and a poncho-surely something for everyone on the gift list. And to make each present extra-special, Hoverson offers easy tips on how to incorporate knitting and other yarn embellishments into the gift wrap. AUTHOR BIO: Knitwear designer Joelle Hoverson is the owner of Purl, an upscale knitting supply store in New York City's trendy SoHo neighborhood. Since opening in 2002, Purl has been featured in Oprah Winfrey's O magazine, Lucky, and Time Out, as well as on Martha Stewart's syndicated television show. From 1996 to 2000, Hoverson worked as a senior style editor for Martha Stewart Living Omnimedia. She holds a master of fine arts degree from Yale University.